Anyone can have a change of heart. After a tip from Mr. Bennet, Hana Gitelman breaks into the Pentagon in search of information. 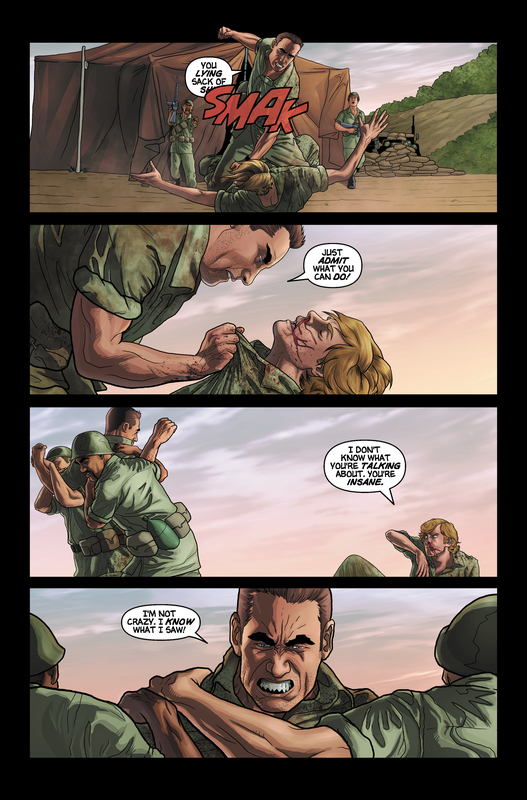 She finds a report of two soldiers, Dallas and Austin, and their mission up the river to rescue a downed airplane during the Vietnam War. En route, their squad is attacked and all are killed except Austin and Dallas, who is mortally wounded. Miraculously Austin heals Dallas with just his hands. The two soldiers find the downed aircraft next to its target, a village that has abnormally large crops in its fields. They discover that the crops are created by Au Co, a young girl who has the ability to make vegetation grow at a rapid rate. Dallas forces Austin to help him complete the mission by destroying the village. However, Austin wants to save this other "special" person; the two clash but Dallas is able to get off a shot -- BANG! In the Pentagon, Hana Gitelman continues to read the Lonestar File. As Austin kicks him to the ground, Dallas manages to shoot Au Co, carrying out their mission. Austin tries to reach her in time to heal her, but Dallas holds him back, and the girl dies. 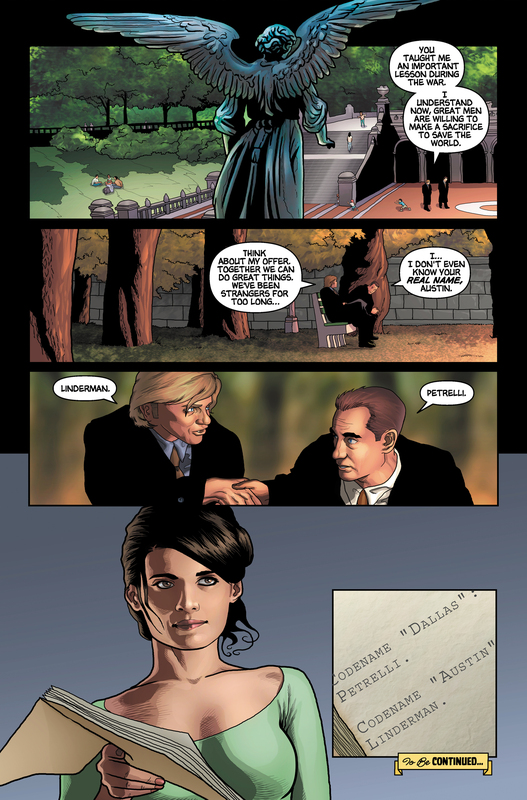 At a base, Dallas and Austin file their report, but Austin refuses to corroborate Dallas's fantastic claims about Austin's and Au Co's special abilities. Frustrated, Dallas punches Austin. Later, after being discharged from the military for his wild claims, Dallas sits at home with his wife and infant son. 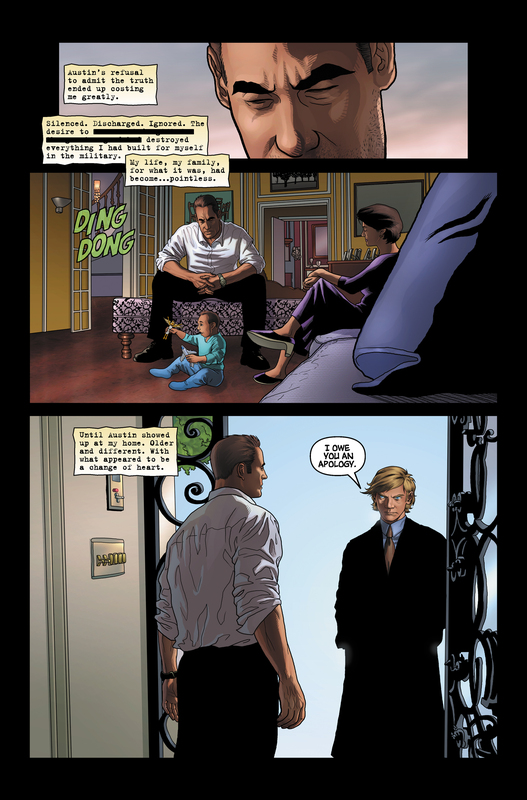 Austin arrives, and apologizes, saying that "great men are willing to make a sacrifice to save the world". 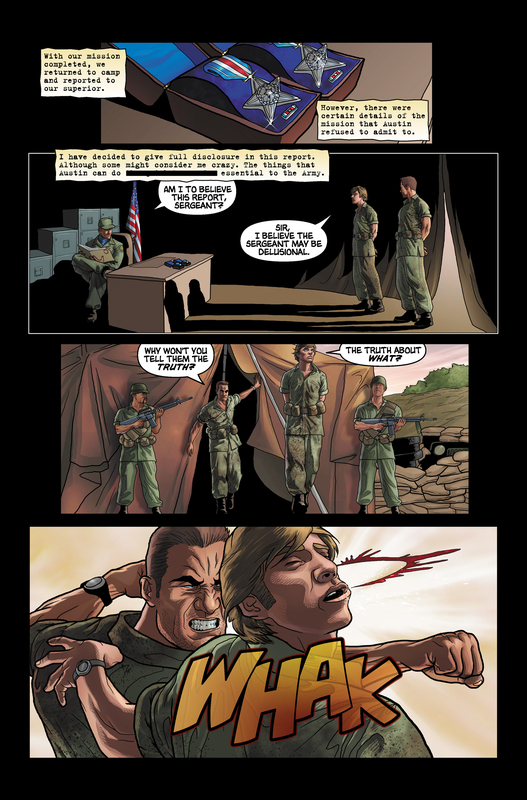 The two men introduce themselves using their real names: Austin is "Linderman", and Dallas is "Petrelli". 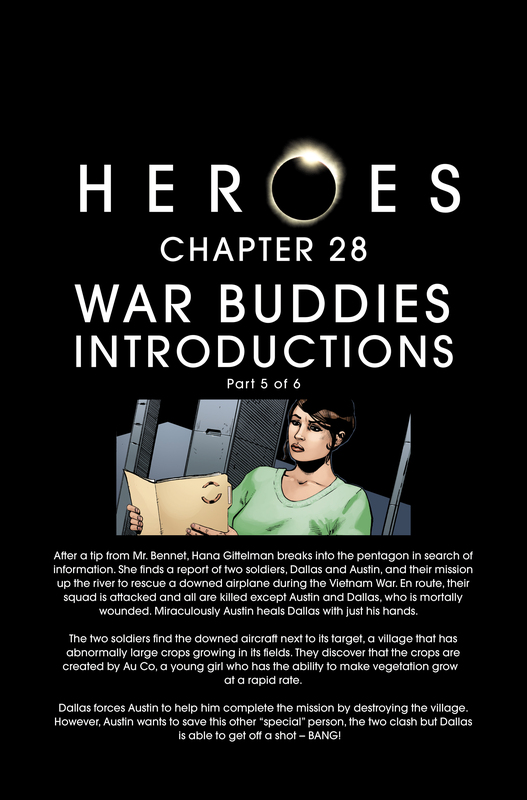 To find out what happened after Austin returns from war but before he visits Dallas, see War Buddies, Part 7. When Austin rings Dallas's doorbell, Dallas is sitting with his wife and first-born son. His son (infant Nathan) appears to be holding an airplane toy and a winged action figure--both are allusions to his future flying ability. For images from War Buddies, Part 5, see images from War Buddies, Part 5. 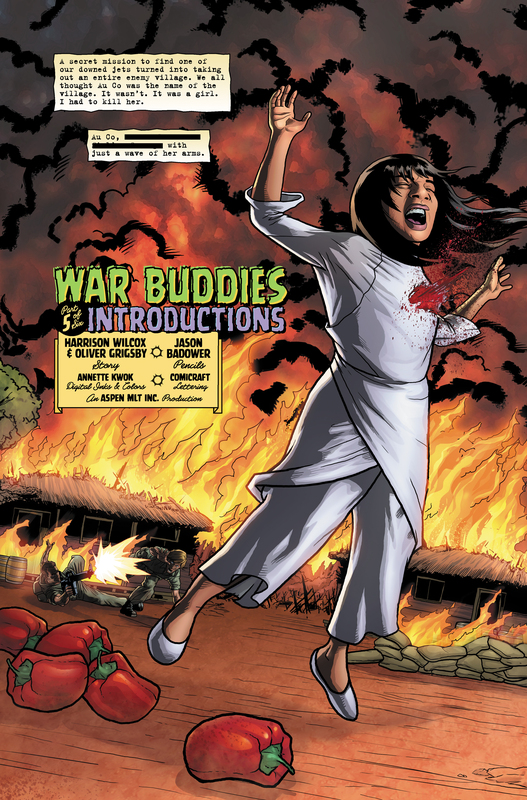 For Jason Badower's original art from War Buddies, Part 5 and notes about his work, see here. This page was last modified on 22 October 2015, at 18:45.